The Town of Weymouth hosts an annual “Great Pumpkin Give-a-Wey” during the first week of October. It is a great event, designed to give residents the opportunity to see the many non-profit organizations, charities, schools, and local businesses in town. Over 5,000 pumpkins are given away in one day. There are always many fun activities for the children, including choosing a pumpkin from the huge pumpkin patch. This fun event is held at the High School, 1 Wildcat Way, South Weymouth. 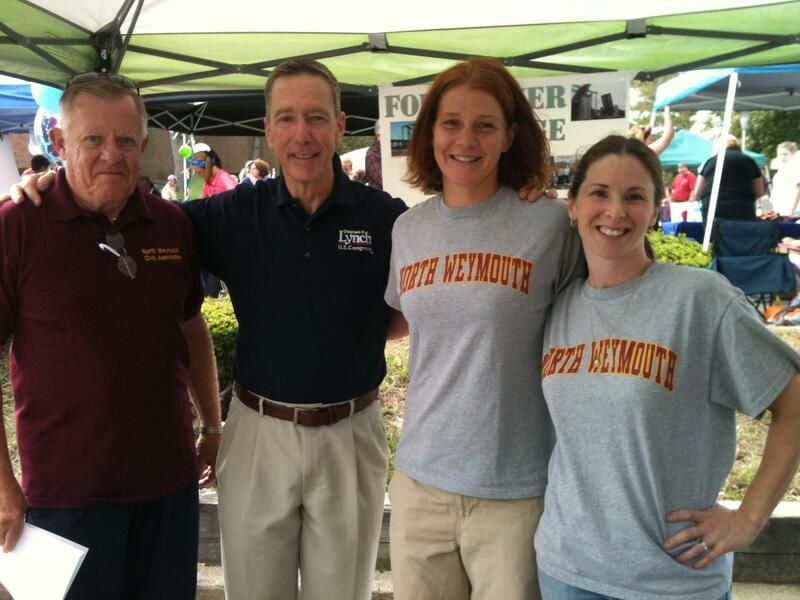 U.S. Representative Stephen Lynch stopped by our booth.